4.10 lakh candidates had appeared for the exam this time. 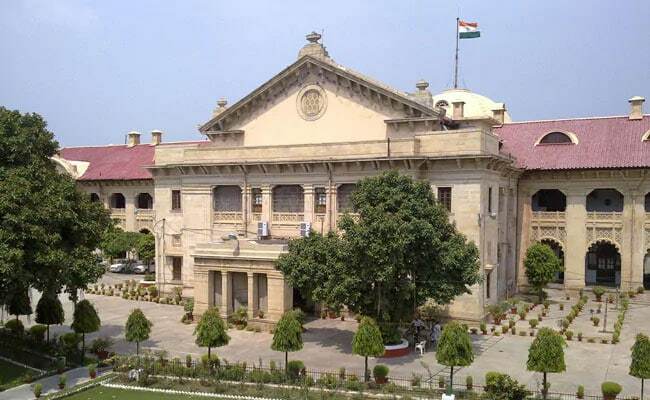 In a major relief to thousands of 'siksha mitras' who appeared for the Assistant Teacher Recruitment Exam 2019, the Lucknow bench of Allahabad High court Friday quashed a government notification fixing 65 and 60 per cent as qualifying marks for general and reserved category candidates respectively. Passing the order, the court directed the Examination Regulatory Authority (ERA) secretary to declare the result of the 2019 exam in terms of the Government Order of December 1, 2018 and an advertisement of December 5, 2018. In the examination last year, the minimum qualifying marks were fixed as 45 and 40 per cent for general and reserved category candidates respectively. Subsequently, the criteria was lowered to 33 and 30 per cent respectively. Allowing dozens of writ petitions by 'siksha mitras', bench of Justice Rajesh Singh Chauhan directed the authorities concerned to comply with the order soon, preferably within a period of three months. The court also directed that the entire selection exercise be completed at the earliest after declaring the result, which was stayed by it on February 19 as an interim direction. "The Government Order of January 7, 2019, is not sustainable in the eyes of law, being arbitrary and violative of Article 14 of the Constitution as it makes an unreasonable classification (between siksha mitras and non-siksha mitras) by giving different treatment to the two groups of identically situated persons appearing in two consecutive examinations," it said. The court said there was no valid reason and justification for drastically increasing minimum qualifying marks. The petitioners had pleaded that fixing the minimum qualifying marks as 65 and 60 per cent after written examination was unwarranted and arbitrary and it could not sustain. Opposing the plea, the state government had submitted that the minimum qualifying marks were fixed to pick out the best candidates for the teaching job. Besides, 1.40 lakh candidates had appeared in the 2018 examination and this time 4.10 lakh appeared. Considering the high number of candidates, the minimum qualifying marks were fixed, in which nothing was wrong, the state government had contended.